Ok, it’s been a while since I’ve shared a recipe and here I am sharing another Rick Bayless recipe, also from Mexican Everyday. This is the perfect summer meal — nice and light, crisp, and refreshing. 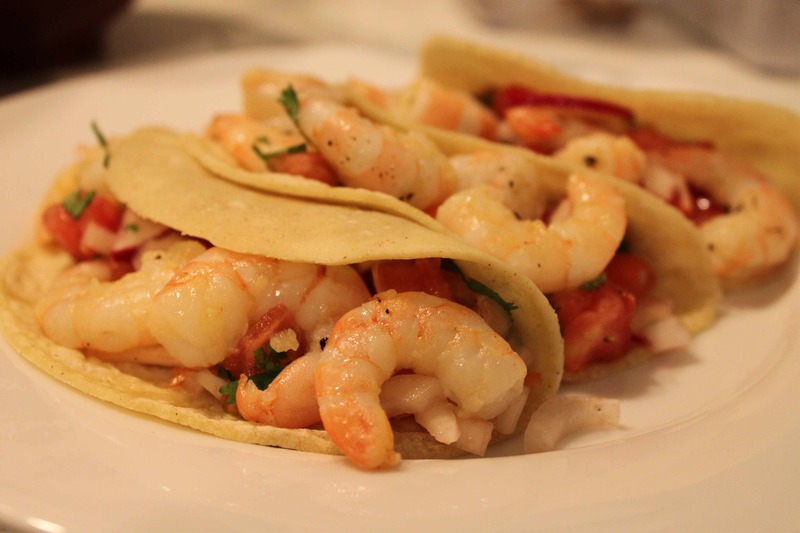 These tacos do pack a bit of heat from the habeñero, which is considerably spicier than jalepeños, but nothing too serious and the citrusy radish salad helps soften the heat level. Rick’s directions don’t specify whether you are to seed and de-rib the pepper and Joseph nearly didn’t which I believe would result in something nearly inedible for most people. The ribs (the white part running the length of the inside of the chile) and the seeds pack the biggest punch of peppers, and like I said, habeñeros are up there on the heat charts. Check out cookthink.com for great tips on how to cut chiles. Please also remember not to handle the seeds or ribs with your bare hands because the oils will remain long after and then you’ll go to take out your contacts and you will be very sorry. You can always use a plastic bag or something if you’re worried about it. 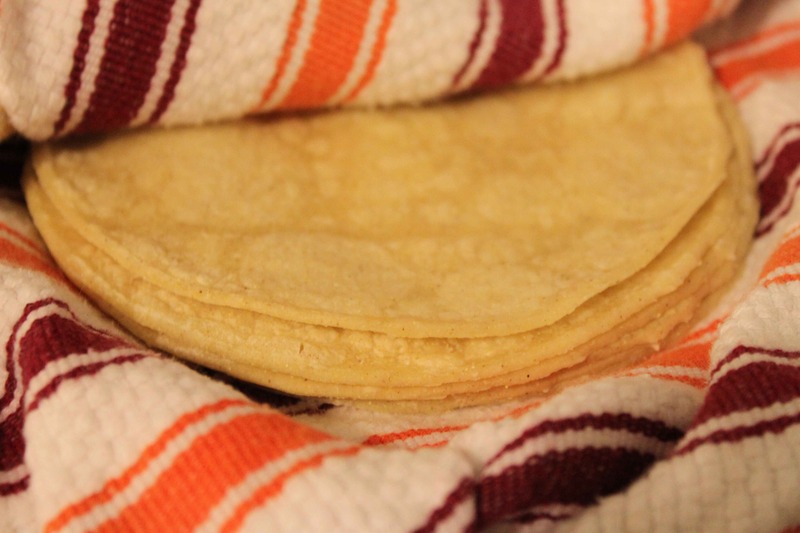 There’s really nothing else to say about about this dish, other than to make sure you make these before summer slips away and also make sure you check out his tips on how to reheat store-bought corn tortillas. Failure to do so will result in lots of ripped up tortillas and that’s a promise. 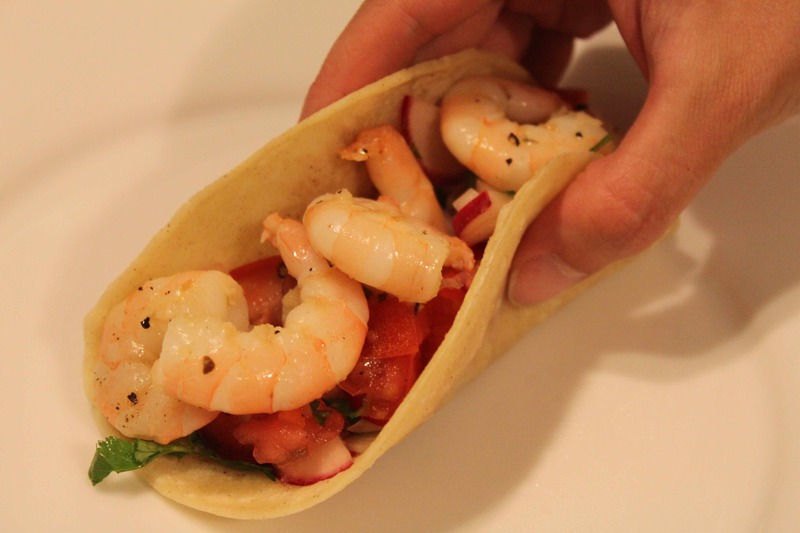 Combine the shrimp, lime juice, onion, radishes, chile, tomatoes, and cilantro in a bowl. Season to taste with salt, probably close to a teaspoon.